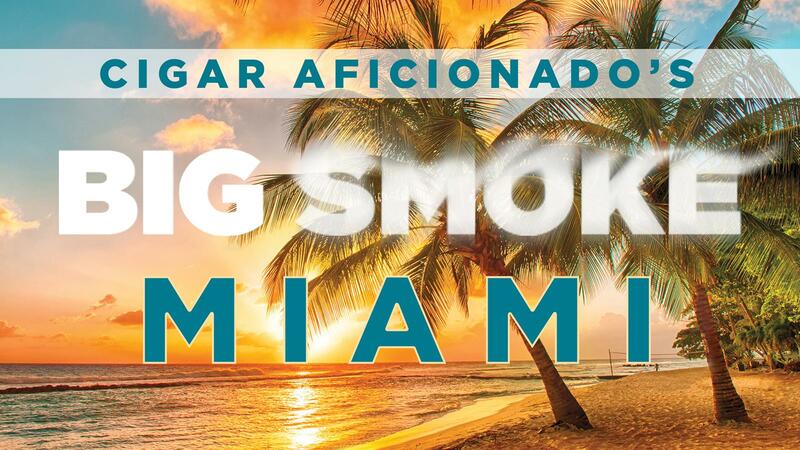 Cigar lovers, mark your calendars: Cigar Aficionado's Big Smoke is heading to the sunny shores of Miami Beach. A grand evening of premium cigars, spirits and camaraderie is set to take place on April 7 at the iconic Fontainebleau Hotel in Miami—and tickets are on sale now. Guests at the Big Smoke Miami will have the opportunity to visit with and taste cigars from more than 25 leading premium cigar manufacturers while enjoying premium libations and the company of like-minded cigar aficionados. Tickets for the evening—which will run from 6:30 p.m. to 9:30 p.m.—start at $325. For cigar lovers looking to beat the crowds and begin indulging early, a VIP ticket ($375 per person) will allow early access to the event floor at 5:30 p.m. The Fontainebleau Hotel, which is widely considered to be the premier resort in Miami Beach, features 1,504 guestrooms and suites and boasts 12 restaurants and lounges. The iconic property has been featured in numerous films—including Goldfinger and Scarface—and is famous for being the Miami Beach stomping grounds of Frank Sinatra and the Rat Pack. Your ticket price includes over 30 premium cigars, click here to see the brands.